SO since the H&F board has opened the PuttaDaForkDown thread on the F&D board has been dead and mods are not responding to request for it to be moved. above is the basics of nutrition. 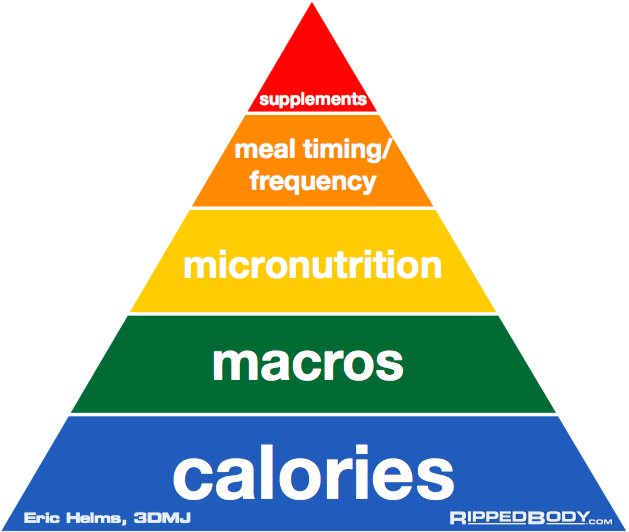 1)Calories are most important for whatever goal you are trying to achieve. Please remember a calorie is just a unit of measurement. 2)Protein is the second most important aspect of nutrition. Research shows that for a normal human lifting weights a good starting point for maintaining muscle is 0.8g per pound of lean muscle. Individuals will need to adjust based on goals and individual tolerances. A gram of Protein has 4 calories per gram and is the hardest macro to store as bodyfat. 3)Carbs and Fat- these two macro nutrients should make up the rest of your calories. 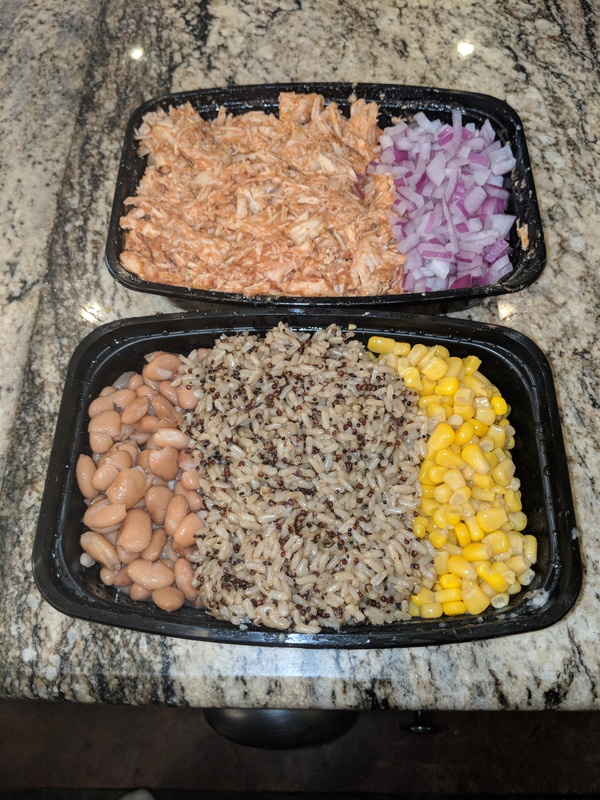 Research shows that so long as a caloric deficit is achieved and protein is high enough to protect muscle, these two can be eaten by individual preference. This does not mean a low carb diet does not have advantages, please do your own research on this. 1g of fat is 9 calories and 1g of carbs is 4 calories. So right now I am on hour 43 of a 70 hour fast I am doing with Lazy but talented. Would love to devour a couple pounds of bisket right now lol. 70 hours? Yeah I would die. I am at 44.5 hours and honestly the hardest is hours 16-20. Not bad since then. Gonna end it at 65 though because we are going to a restaurant tomorrow night and I don't wanna binge. 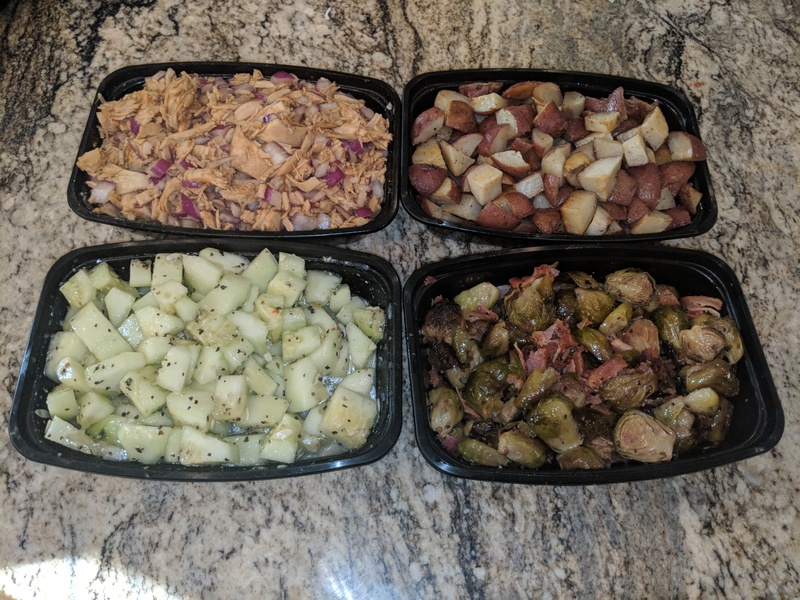 So I pre cooked a bunch of chicken breast, potatoes and brussel sprouts to eat at 3. I'm ending my fast at 69 hours tomorrow because I am immature. What the hell is wrong with you people...fricking eat food and train it’s that simple. Don't always fast like this and I do train hard as frick and eat plenty. And I am not doing this for fat loss, that is just a nice side effect. I'm doing this because I am on testosterone and have been for 3 years now, my blood tends to get a little thick. Fasting helps this, along with giving blood. I tried to give blood two days ago and was denied due to how thick my blood was. Was barely over the limit, but over none the less. I will do another 72 hour fast Sunday through Tuesday for health also and try to go give blood again next Thursday. Also these fast are amazing for resetting what you are craving and how you feel about food. Gonna go eat Landry's at the golden Nugget tomorrow night. Prolly have a dozen raw oysters and either filet and veggies or fish and veggies. Friday will be pretty normal too. I will have 800 or so calories before we head out of town to friends in Houston where I'm sure we will hit up a Mexican restaurant. Just have to make good choices there. You forgot the SNAKE DIET I actually ran across it today LMAO! Also, for those that DGAF, maybe we should sticky a PermaBulk Diet!?!? Kidding of course. Looking fwd to this thread. Me too, I thought, oh they finally moved it after we talked about a new one, and came here to find this one. Haha.